Rutgers football this season has been marred by self-inflicted mistakes and god-awful play that have hurled the team down to a 1-6 record with no wins in conference play. Returner Isaih Pacheco must have thought that the only way to save the lost year is with some semblance of consistency because he decided to call a fair catch at the one-yard line during the opening kickoff, and subsequently drop the ball. Here’s a thought, if over 20 yards of open field is somehow not enough space to get an adequate return off, maybe just let the ball bounce into the end zone, or maybe even reconsider your position on the team. 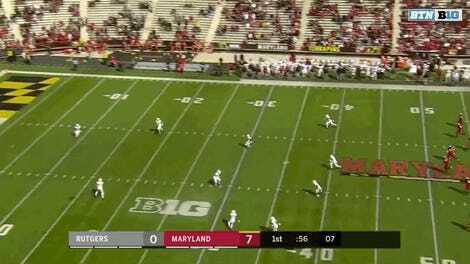 After allowing Maryland to recover its own kickoff on Rutgers’ 19-yard line last week, one would think that these sort of plays would be an extra point of emphasis for the Scarlet Knights leading up to their game against Northwestern. Clearly, that wasn’t the case. Yet another reason to allow relegation into college football.